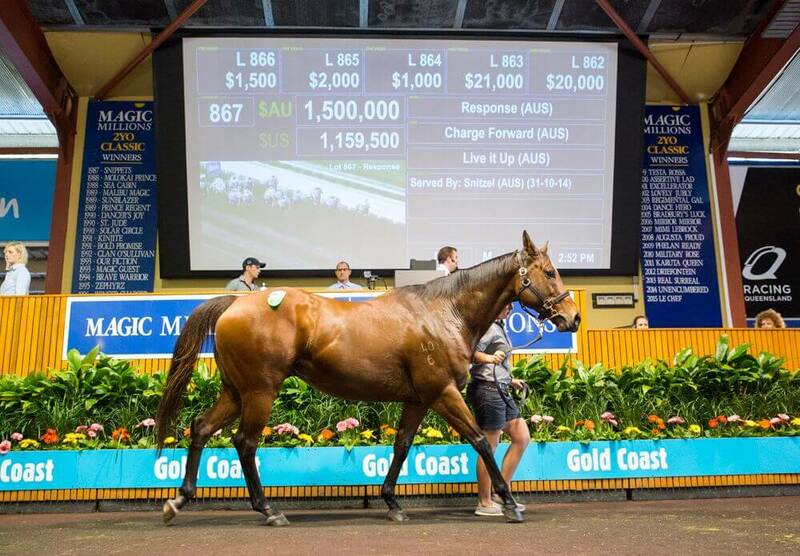 Multiple Group One winner and proven million dollar producer Response topped Day Two of the Magic Millions National Broodmare Sale when sold for $1.5 million today. 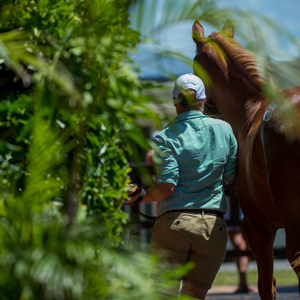 Presented at the auction by Newgate Farm, Response was purchased by the Arrowfield Stud team for leading Japanese breeder and businessman Katsumi Yoshida of Northern Farm. Response won four races, three at group level headlined by wins the Robert Sangster Stakes at Morphettville and Sir Rupert Clarke Stakes at Caulfield. The Charge Forward mare has produced two foals at stud to date. 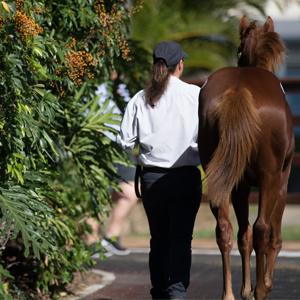 Her first foal, a filly by Fastnet Rock, was sold for $1.05 million at January’s Gold Coast Yearling Sale while she has a weanling colt by Exceed and Excel. “We bought her on behalf of Mr Yoshida of Northern Farm. He sells commercially so we’re hoping that she will. She’s a magnificent individual and she’s left good sorts so that is what it is all about,” Freyer added. The other mare to sell for seven figures was the Group Two winner Varenna Miss – a half sister star Criterion who was presented in foal to Pierro by Newgate Farm. 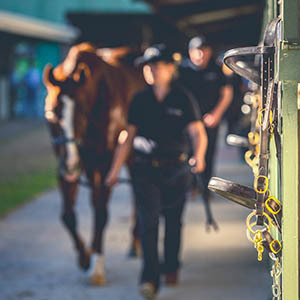 The quality mare was the subject of strong interest and in the end it was Emirates Park who outbid Michael Wallace to secure her for $1 million. “She had enormous ability and she has a great family – a progressive family – a sister to a champ and that’s what it’s all about,” Lobb added. Another mare to prove popular at today’s auction was Testa Rossa’s Group One winning daughter Rostova – another Newgate Farm offered lot – this time in foal to the unbeaten world champion Frankel. Tim Stakemire, bidding on behalf of Sheikh Mohammed Bin Khalifa Al Maktoum, was the successful purchaser at $850,000. 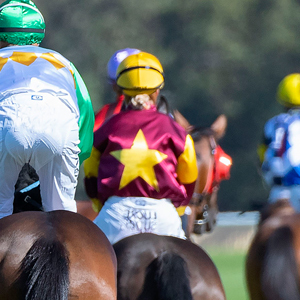 “There’s a Frankel to come – that’s a jewel on top isn’t it!” Stakemire added. The other mare presented in foal to Frankel at the auction was the Glastonbury Farms lot, stakes winner Lovetorn who sold to the China Horse Club for $550,000. With spirited bidding throughout the day the sale gross has grown to over $42 million and the average price sits at an impressive $120,494. The clearance rate is 81 per cent. “We were nervous about the middle and lower end of the market and it has come out powering. The buying bench has been strong right through and to sit at a clearance rate of 81 per cent, we’re delighted with,” Cox added. To view the results and to make an offer on a passed in lot click here. To view a video recap of Day Two of the sale click here. 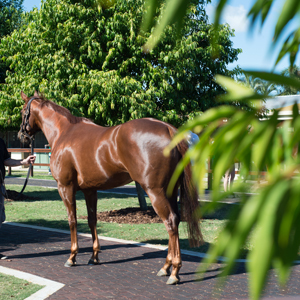 Day Three of the Magic Millions National Broodmare Sale will be held from 10am on Friday. The catalogued lots will be followed a quality supplementary including eight additional lots from Gooree Park Stud, as agent, including last start Group One winner Amanpour.